The Ro16 is about to begin and you better be ready because the best games are yet to come! The last three groups of the Ro24 went as predicted with Action and EffOrt advancing from group D, Last and Soulkey from group E, and Sharp and Light advancing from group F. The games were somewhat entertaining, especially the winners' match of group F where we saw the bio of Sharp go up against the reavers of GuemChi in quite the tense and action packed game! Please read the recaps of group D by Ziggy and group E/F by Bigfan for more details. The group selection ceremony was the highlight of the night as the players bantered, and bargained all night to try and secure themselves the best group in the Ro16. While there were a lot of surprising picks, Flash picking Jaedong to be in his group was probably the biggest surprise of all, with a clash between the two inevitable. BLinD-RawR has kindly previewed group A consisting of Rain, Sharp, Mind and Sea, and group B consisting of Snow, Shuttle, Soulkey and EffOrt so make sure to give them a quick read! Group A is set to start in so make sure to tune in. Let's get hypeddddddd!!!!!!!!!!!! In an unlikely turn of events, Action, who's only made his second appearance in the ASL since the league's inception, managed to take down both Effort and Mong to advance out of their Round of 24 group in first place. Spawning in the 12 o'clock position on Sylphid, Action found himself opening with a very quick gas followed by a pool on 9 supply, with EffOrt (8 o'clock) going for 11 pool 11 gas into 11 hatch. Forgoing any plans for early aggression, Action rushed out lair tech, delaying the ling speed upgrade. EffOrt, having scouted his opponent's spire chose to capitalize on the apparent disparity in production capabilities, rushing across the map with a handful of lings with speed. Action's botched positioning allowed EffOrt to slip a single ling through into the main base, forcing his opponent to morph more larvae into lings. Thwarting the aggression, the former KT player launched a counterattack. EffOrt, failing to recognize the threat, overinvested in anti-mutalisk measures, and crumbled under the pressure created by his adversary's ling flood. The face-off between Mong and Stork started in typical TvP fashion. Stork's opening zealot, managing to find a kill on a single marine, delayed Mong's expansion ever so slightly, forcing out a quicker bunker as well. With a 1 gate range nexus of his own, the Dragon followed up with a robo and additional gates. Mong, whose lone vulture found all, but a single probe kill before falling to the roaming dragoons, recognized the need to play it safe and Mong added an armory, an academy, and quick mines. A money scan soon revealed Stork's intentions of playing an eco game, allowing the Terran to correctly choose his response moving forward. Mong's 2 fact tank / goliath with quick upgrades set him up for a strong mid-game push, countering Stork's questionable choice of following up with a fleet beacon. Pushing out at the 13 minute mark, Mong, despite both players having maxed out, encountered little resistance, as the 2/1 mech force mowed down Stork's 1/0 zealot / dragoon. Recognizing Mong's superiority in a straight up fight, the former Samsung pro attempted to divert his opponent's attention, skirting around the main bulk of Mong's army and hitting the reinforcement line. Failing to buy sufficient time for additional carriers and psi-storms, Stork was ultimately forced to defend his beleaguered natural. Mong crushed the Protoss force with ease. New maps always leave extra room for experimentation. For Action that meant sneaking a drone inside Mong's base on Autobahn and praying the proxy hatch play works. Botched marine control left the Terran's gas exposed, which delayed the stim upgrade even further. Recognizing Mong's inability to punish the proxy hatchery, Action doubled down on the aggression, adding a sunken in the main base of the Terran. The Zerg managed to keep the Terran contained on 1 base for over 11 minutes, resorting to a 3 hatch muta follow-up to slow down the Terran's counterattack. With access to lurkers, Action snuck behind Mong's natural mineral line, putting himself even further ahead economically. With defilers on his doorstep, the Terran player had no response to the dark swarm lurker combo, tapping out at the 16 minute mark. EffOrt found himself off to a good start in the losers' match against Stork, as his 9 pool opener allowed him to sneak 5 lings into the Protoss main base. Finding 7 probes worth of damage gave EffOrt the time he needed to catch up with Stork's FFE. The damage dealt to the Protoss player delayed the corsair follow-up and the subsequent templar archives, with EffOrt being prepared for anything that could potentially allow Stork to come back from a hefty eco / tech deficit. EffOrt's 4 base lurker push allowed him to seal the Protoss in on 2 bases for an extended period of time. Only breaking out at the 15 minute mark, Stork set his sights on EffOrt's third. However, with 6 lurkers on top of a ramp, all Protoss zealots vanished off the battlefield in no time, leaving the Protoss with a squishy dragoon / templar based force. With a superior economy and 8 hatcheries at his disposal, Effort quickly outproduced Stork and closed the game out with a counterattack, eliminating the Protoss Dragon from the ASL. The final game on Circuit Breaker saw EffOrt open with an aggressive build yet again. Mong, despite scouting the Zerg's 9 pool, mistimed his SCV pull, losing perhaps a few workers more than he should have. Minor gains left and right gave EffOrt the map control he needed to successfully keep Mong in the dark. The belated 5 rax +1 found no opportunities to move out and delay the Zerg, as Mong found himself on the receiving end of a 3 hatch lurker bust. And yet again, despite properly recognizing the incoming threat, Mong's decision-making failed him, as a large chunk of marine / medic got surrounded just outside the Terran's natural, giving Effort the momentum he needed to break through and dispatch Mong in a decisive manner. Action and EffOrt advanced to the Ro16! Group E promised to be interesting as Last, Calm, Soulkey and Rush faced off against each other. Facing off against the KSL champ, Calm decided to play a little unorthodox going for a pool first, grabbing a hatch then going for mass zerglings with a drone drill. Last scouts it coming right as it came into view and pulled workers, easily defending. Once he established his expansion, Calm went for a final all-in attack and tapped out right after. Up against Rush who was playing the current 1-1-1 build, Soulkey went for a large zergling attack, hitting Rush who had lost his first vulture earlier, and only had several army units, and no bunker. Though it was cleaned up, Rush had not yet scouted what Soulkey was going for, but he decided to go for valks. However, he is unable to survive Soulkey's relentless mutalisk attacks which constantly picked off turrents and army units. Once Soulkey established control in his main, it was over for Rush. Last decided to open 1 rax FE while Soulkey went for a hatch before pool. Soulkey tried for a large zergling attack when Last first moved out but he pulled back and easily defended this third with mutalisks and zerglings the first time. Keeping Last's army at home, Soulkey droned up a bit, and got the lurker den. However, the next moveout ended up going in Last's favour as his army devoured Soulkey's army and allowed him to siege the third. Soulkey did eventually push the army back, but Last had already gotten a third and started containing Soulkey. With more bases, constant denying of his fourth base, and good decisions overall, Last kept growing till he hit max and eventually caused Soulkey to tap out 22 minutes in. Rush decided to open with a 1-1-1 while Calm went added a hydra den after his expansion went down. However, Rush scouted this and also got several drone kills with his vultures and wraith messing up Calm's economy. With his 2 lurkers doing nothing, Calm got a spire, but Rush was ready with turrets and got more drone kills with his vultures forcing the mutalisks back. From there, Calm was pushed all the way to his natural before he conceded. Opening again with the 1-1-1 and scouting the wraith then denying mining with some vultures, things seemed great for Rush until Soulkey dialed things up to the next level. Running some lings into the main to target turrets, then sniping the first vessel followed by a full frontal attack to take down the bunker. All this with solid mutalisk micro was more than enough to topple Rush showing that the 1-1-1 build isn't a build that anyone can do. With that, Soulkey advances to the next round. Last and Soulkey advanced to the Ro16! Coming into group F as a bit of an unknown, many were hoping to see some great games from Yerim2. Unfortunately, due to his studies, he was unable to attend which meant that his games were forfeited. Thus, there were only 3 games played in this group. GuemChi decided to go for robo into expansion while Light went for a factory expand. Looking to make things interesting, GuemChi decided to ferry units into the main and took out some tanks, marines, vultures and SCVs while keeping his shuttle and reaver alive which was a win for him. GuemChi took a third and ended up delaying Light's third, then went for Up Terran, using zealot drops and goons to clean up all the tanks and kill Light's third. With this large advantage, GuemChi took a fourth then a fifth base. Eventually, he saw an opportunity and crashed his army into Light's re-established third to take it out and win the game. GuemChi decides on a proxy gate and goes for a gas steal while Sharp seeing his predicament goes for 2 rax acad and plays the bio game. From there, the game is back and forth with GuemChi getting reavers and defending an SCV pull while Sharp kept trying to take the best engagements that he can as he was put into a bad position. Sharp does eventually take the game, but not before both players kept trading blows and making mistakes. Can't say much, a must watch game! Light went 1 rax FE while GuemChi went for 1 gate FE. Things seemed to be going in GuemChi's favour as he got an early tank snipe, but in mere minutes, things flipped around. An attack on GuemChi's mineral only was well defended, however, this also gave Light the opportunity to mine out, and kill some probes and goons at the natural. Pulling GuemChi's army to the expansion, Light went for the mineral only and managed to kill it. From there, Light took a large advantage and rode it to victory with good defense. Sharp and Light advanced to the Ro16! This group really built itself to be a long group with Sharp, Mind and Sea with only our defending ASL champion Rain being one to keep the pace up, so bring out the popcorn friends. TvTs galore here! It would be remiss if I did not mention that Sharp and Rain are quite similar when it comes to their tournament runs so far with both players making the deepest runs on their respective mirror matchups. Nevertheless, Rain has results which reflect better than Sharp’s when it comes to their non mirror matchups. In this case, his PvT so far has looked far more solid (21-7 including a 2-0 vs Sharp, 2-0 vs Mind and he has not played Sea this month) than Sharp’s TvP (which stands at 13-10 in September). Expect a great victory for Rain. Sharp is a top 5 player this month, so he won’t be as easy as some would expect. It's always hard to gauge Sea’s performance and even less so when he plays as little as he does on stream having transitioned into being a variety streamer. To be more precise, we’re a little over halfway through the month and Sea has not had any TvTs in his sponbangs. In fact, he hasn't played any TvTs last month either. Of course that doesn’t mean that he's obviously going to lose or anything, far from it. The point of a Bo1 is that if you’re even capable of taking one game off your opponent anywhere in recent time, you have a chance to win offline too. I would say Sea is more than capable of doing that. Mind hasn’t put as much time in the mirror either. At least, he's only played 7 games and has a 5-2 record which includes a 1-0 win vs Sharp. Needless to say, I’d give advantage to Mind, but that's not a guarantee. The winners' game is set to be a straightforward victory for Rain. Mind would most likely try to end the game quick, but Rain should be on top of any of that and should push ahead if the game goes long to win. I would not bet on Sea against Sharp’s TvT aside from his one loss to mind. Sharp has been killing it, and it would be really surprising if we saw Sea win this game, but the best he could do is make it look close with a BBS. Mind vs Sharp will probably be match of the night. I think both players can possibly win. Obviously Sharp being a TvT sniper has the definite advantage, but there is no reason Mind can’t make it difficult for Sharp. They’ve already had great matches against each other over the years. I’m going to predict Sharp, but again, Mind has definitely been preparing for this eventual matchup and Mind is very good at his preparation. Rain and Sharp to advance to the Ro8! As the group title suggest, it's the unfortunate place where Snow and Shuttle feel they have landed in after Rain used his champion’s advantage to swap Light for Soulkey into the group. 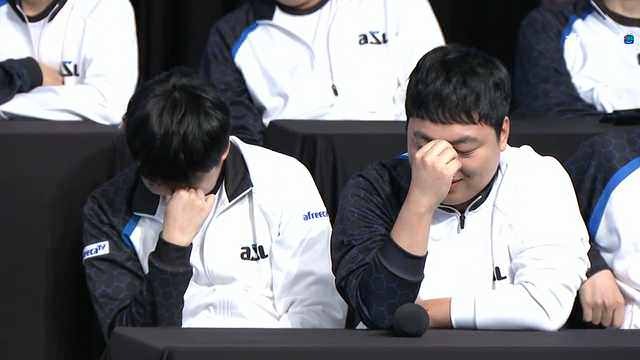 They were already feeling the heat of EffOrt coming for them, but is this the last we see of these two Protoss players in the ASL6? Well first, they need to face off against each other. It may be a cold comfort for both players that they’re starting off with a mirror, as it drastically increases both players' odds of making it to the winners' game. Well at least it drastically increases Snow’s odds of winning this set. Snow has recently been racking up a good winrate against the top Protoss players whereas Shuttle has been avoiding PvP like the plague in order to pump his non-mirror matchup stats. The opening set should go to Snow barring any major mistakes on his part or a bad build order loss. After all, you never know with PvP. Soulkey might unjustifiably be in a position he’d rather not be in, but he certainly hopes that the cream that he is will rise to the top. Or so he hopes, but with ZvZ on the plate, his odds of that happening are low as his ZvZ has been his worst matchup, having avoided it in the Ro24 against Calm. Now he has to go up against EffOrt’s 87.5% winrate in ZvZ. His opening match does not look too good for him. EffOrt right now looks to be the most comfortable player in the group, aside from the fact that he usually does every ASL and then proceeds to get knocked out at this stage. EffOrt hasn't been in an offline Bo5 stage since SSL Classic, and if there was ever a time or an opportunity to do that, this would be it. He's showing that he's on form online, and the group looks to be in his favor. His opening match against Soulkey should be a breeze for him, meaning that he's going to be one game away from breaking his curse. EffOrt vs Snow hopefully will show the fixes that Snow has introduced in his play since his KSL loss to Jaedong from practicing with Killer and Action, but EffOrt already has an edge over his former teammate this month going 2-0 over him in sponmatches. EffOrt should advance from here. For the losers’ set, we should have Shuttle vs Soulkey which might be the most even match of the group. There is definitely going to be a lot more pressure as both players are doing very well in the matchup, and even though Soulkey won his series against Shuttle in the KSL Ro16, he lost the first match. That is not a luxury that Soulkey can afford here, but still, with the way Soulkey won that series, it gives me enough confidence to give Soulkey the win. The final game comes down to Soulkey vs Snow where Snow finds himself in the same situation as he did against EffOrt, which should mean that the ASL5 runner up will come up short this season. Soulkey is just a far better player in the matchup compared to Snow. EffOrt and Soulkey to advance to the Ro8! I agree with the staff’s predictions for once. Nice write up. Pretty sure Snow will find a way. Pulling for EffOrt here, easily my favorite zerg next to JD. Hoping he makes a deep run this ASL. Personally, I feel like there's a good chance for Mind to advance over Sharp in group A. Mind's form is inconsistent, however, he knows how to play the matchup and even if Sharp is a good TvTer, I'd still give the advantage to Mind. Hopefully he advances tonight! The 3 of them had huge success on their SC2 career that's for sure. Group ceremony was hilarious! Everyone was visibly flinching when Flash came over to make his pick. its a joke, we call By.Sun aka Rain(or By.Rain) Bison sometimes. where to watch the stream of ASL ? Shuttle defeated EffOrt on ASL1 then proceeded to win the whole thing. Let's put some faith to the Legend of the Fall. Although Snow's PvP is tricky. "Screwed City - Population: 2"
Why did Flash pick Jaedong would have loved to see them face each other later on in the tournament. When is that group playing? and a totally noob question - what's the difference between KSL and ASL? is it like OSL and MSL back in the day, i.e. just two different leagues. 1) because JD is going to an army anytime soon and Flash didn't want to miss a chance of playing together on a stage, possibly for the last time.